URI: The Surgical Strike Trio of Vicky Kaushal, Aditya Dhar and Ronnie Screwvala to Re-Unite for a Period Drama on Mahabharata Character Aswatthama? Vicky Kaushal entered the year 2019 with a bang and made his way to the wide popularity. His critically acclaimed film URI: The Surgical Strike made a roaring success at the box office, and was applauded by audiences and critics alike. The movie also marked the first collaboration of the Masaan actor and filmmaker Aditya Dhar, and the result was undoubtedly a blockbuster. A media report suggests that the actor-director duo is most likely to collaborate again for a period drama. Not only Aditya, but the URI producer Ronnie Screwvala will also join the party. 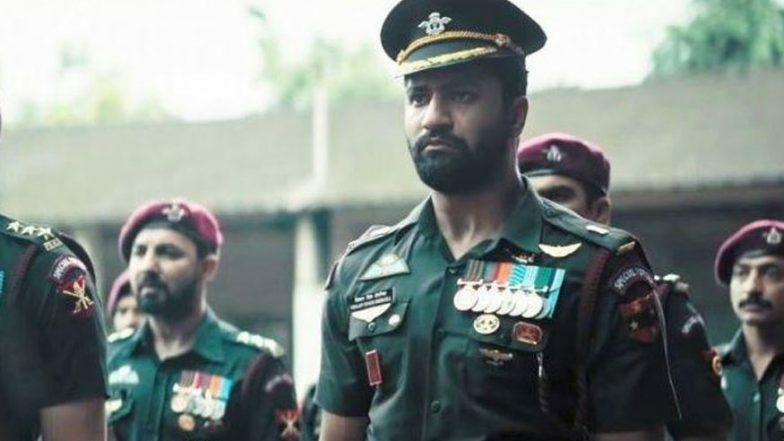 Vicky Kaushal Wanted to Change ‘How’s the Josh’ Dialogue in Uri: The Surgical Strike. As per a report published in Mumbai Mirror, Aditya has been working on a project on the character of Aswatthama from Mahabharat. For those who don’t know, Aswatthama was the son of Dronacharya and fought on the Kaurava side against the Pandavas in the Kurukshetra War. It further mentions that the director had Vicky in his mind for the role. The movie, which will be made on a whopping budget, will be shot in multiple locations across India. Vicky might be seen donning the titular character. According to the report, “After Uri, the makers wanted to return with something big and interesting. Aditya has been working on this script since a long time, even before Uri released, and when he sounded out Ronnie and Vicky, they immediately jumped on board. The film will be mounted on a big scale and will be shot later this year. Aditya is already neck-deep in research and will go on a recce soon. The film will be shot all over India and the makers are targetting a mid-2020 release.” Vicky Kaushal’s Uri, Ajay Devgn’s Total Dhamaal, Akshay Kumar’s Kesari – 7 Biggest Hits in the First Quarter of 2019, Ranked! Well, going by the popularity and success of URI: The Surgical Strike, it goes without saying that the next project is already flying high on expectations. Interestingly, Vicky has also been roped for another period film helmed by Karan Johar titled Takht. The multi starrer big budget drama also stars Kareena Kapoor Khan, Alia Bhatt, Ranveer Singh, Bhumi Pednekar, Anil Kapoor and Janhvi Kapoor in lead roles.